An important step in China’s energy transition was taken on Tuesday the 21st of February. An implementing agreement was signed between China and Denmark to implement a pilot project, which aims to inspire district heating methods in China to a more efficient, long termed and integrated level. The China National Energy Administration has chosen Beijing to be one of the pilot cities utilising renewable energy for district heating and in general improving the whole heat system in order to provide “Clean Heat” which should result in improved air quality and reduction of GHG emissions. Beijing is hosting the Winter Olympic Games in 2022 and this is an extra motivation to improve the energy system in Beijing and reduce air pollution. Since 2009, the Danish Energy Agency (DEA) has supported China in promoting renewable energy development and energy efficiency in their low-carbon transition. DEA has been cooperating with the National Energy Conservation Center (NECC) since 2014 on energy efficiency and district heating. Today, the cooperation was extended when the Danish ambassador in Beijing, Mr. A. Carsten Damsgaard and Director General of the NECC, Mr. Xu Qiang signed an implementing agreement on framing a pilot project around energy efficiency and district heating together. DEA will contribute with technical advice based on 100 years of experience with district heating and 40 years of experience with energy efficiency in Denmark. Now, when the agreement is signed, the process of defining content and phrasing has started. 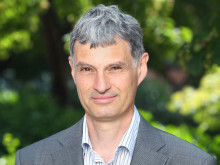 Danish companies have developed state-of-the-art technologies and those of the companies interested in the cooperation will get involved early in the process. NECC and DEA will jointly promote the Sino-Danish pilot project on district heating and energy efficiency improvement in China. An Expert Panel will be set up with participants from both countries that will investigate surplus heat, regional heating, current energy consumption, business models, heating demand and renovation plan in Beijing. Based on such investigation and Denmark’s advanced district heating experience and technologies, the Expert Panel will produce suggestions for a more comprehensive heat plan. Based on Danish methodologies, suggestions for improvements will be considered with local stakeholders. This will be done in order to carry out holistic heat planning and system developments as suggested in the plan in cooperation with the local stakeholders under the principle of free market competition. If successful, the implemented projects will function as case examples to inspire other cities in China and abroad. 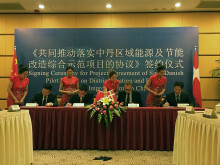 Read more about the Sino-Danish cooperation on climate, energy and building.